Friday, 12 October 2007 Acting on the advice of the License Approval Chair, the OSI Board today approved the Microsoft Public License (Ms-PL) and the Microsoft Reciprocal License (Ms-RL). The decision to approve was informed by the overwhelming (though not unanimous) consensus from the open source community that these licenses satisfied the 10 criteria of the Open Source definition, and should therefore be approved. The formal evaluation of these licenses began in August and the discussion of these licenses was vigourous and thorough. The community raised questions that Microsoft (and others) answered; they raised issues that, when germane to the licenses in question, Microsoft addressed. Microsoft came to the OSI and submitted their licenses according to the published policies and procedures that dozens of other parties have followed over the years. Microsoft didn't ask for special treatment, and didn't receive any. In spite of recent negative interactions between Microsoft and the open source community, the spirit of the dialog was constructive and we hope that carries forward to a constructive outcome as well. The Open Source Initiative is best known as the steward of the Open Source Definition and for its license review process. But, an open source license is just the starting point. Open source depends upon code (which can be made better), community (which can be made larger), and ultimately a commitment to the idea that the more free the market is for innovation, the more innovation the market can deliver. 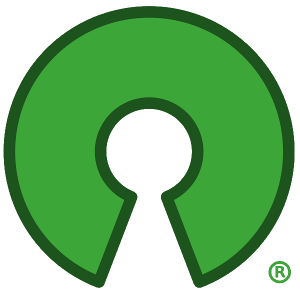 Every approval that OSI issues represents our community's demand for more open-source code, a larger and more vital open-source community, and all the benefits open source brings to innovation in a free market. The new Ms-PL and Ms-RL are no exceptions.